COAST, Centara’s Casual Beach Club and Bistro Concept, Brings Laid Back Luxury and Fresh Cuisine to the World’s Most Spectacular Seafront Destinations Bangkok, Thailand, 22nd February 2019 – Centara Hotels & Resorts, Thailand’s leading hotel operator, has revealed plans to expand its beach club and bistro concept, COAST, bringing laidback luxury and fresh, creative cuisine to diners in some of the world’s most spectacular seafront destinations. Exclusive to the upper upscale Centara Grand brand, COAST Beach Club and Bistro is a stylish and social dining and lounge concept with four absolute beachfront locations currently operating in the idyllic Thai resorts of Koh Samui, Hua Hin, Pattaya and Phuket. This will soon become five, with the launch of a new COAST at Centara Grand Beach Resort & Villas Krabi. 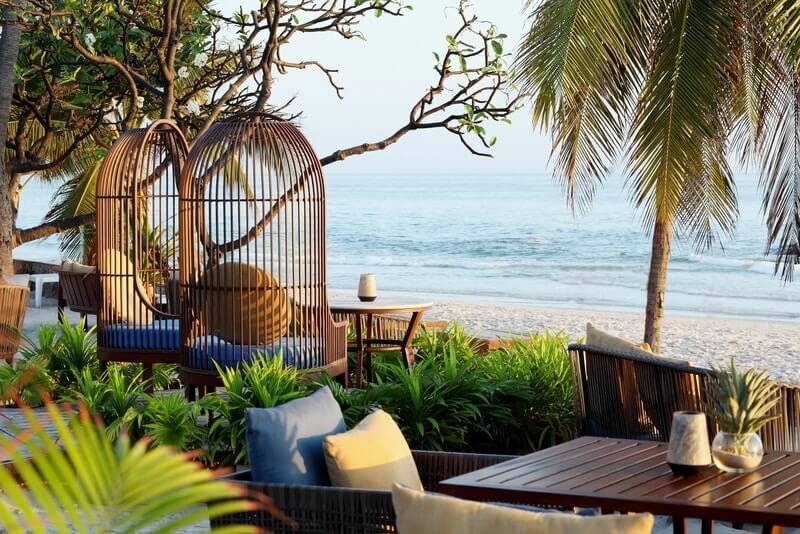 Bangkok, Thailand, 22nd February 2019 – Centara Hotels & Resorts, Thailand’s leading hotel operator, has revealed plans to expand its beach club and bistro concept, COAST, bringing laidback luxury and fresh, creative cuisine to diners in some of the world’s most spectacular seafront destinations. Exclusive to the upper upscale Centara Grand brand, COAST Beach Club and Bistro is a stylish and social dining and lounge concept with four absolute beachfront locations currently operating in the idyllic Thai resorts of Koh Samui, Hua Hin, Pattaya and Phuket. This will soon become five, with the launch of a new COAST at Centara Grand Beach Resort & Villas Krabi. COAST combines elegance and sophistication with a chilled-out beach vibe, allowing its clientele to unwind in style, surrounded by nature. Glitz and glamour meet barefoot chic as guests relax on lounge sofas and beanbags during the day, savouring the panoramic seascapes. Crafted cocktails and casual snacks offer light daytime refreshment, including freshly-baked pizzas, gourmet burgers, Thai dishes and other comfort food. Then as the sun sets, COAST transforms into a vibrant destination nightspot, perfect for couples’ dinners and family feasts or for whilst the night away drinking cocktails and listening to the DJ tunes while the sea laps the shore. Diners can choose from a series of signature menu items, including contemporary Thai tapas, dramatic seafood towers and premium meats whist our mixologist crafted classic modern cocktail favorite. While each COAST has its own unique vibe, reflecting the spirit of the destination, all outlets feature a series of zones, including a raw bar serving the freshest local seafood and poke bowls, a seafood grill to cook the “catch of the day”, an authentic Italian pizza oven, and a casual bar area serving Instagrammable cocktails, fine wines, fresh juices and tapas plates. The inviting ambience of COAST also creates impressive settings for group events. Under Centara’s “COAST for Groups” concept, meeting planners can dazzle their delegates with an array of options, including beachfront barbecues, bespoke buffets, team-building activities and private parties. Families and groups of friends can also arrange their own events, and the “Couples’ Dining” programme creates candlelit dinners, private performances and special menus – perfect for celebrating life’s most memorable moments. COAST is not only reserved for Centara Grand’s resort guests however; local diners and other holidaymakers can all enjoy the spontaneous seafront vibe. This makes COAST the perfect destination for anybody who’s seeking a cool place to dine, to celebrate special occasions or arrange a romantic event. As COAST expands its presence around the world, guests can look forward to an extended calendar of experience-based global events, including themed dinners, creative classes, popup chef weekends, guest DJ performances and more! “Centara Grand resorts command beautiful beachfront locations in some of the world’s most sought-after destinations. It is our duty to maximise these settings by creating the best possible experiences for all, including our guests, local residents and other visitors. Whether guests are seeking a casual daytime chill-out spot, a memorable evening meal, or somewhere to celebrate life’s major milestones, COAST is the perfect choice,” commented Winfried Hancke, Centara’s Group Director of F&B Operations. Every COAST Beach Club and Bistro, operating now and in the future, is focused on preserving its pristine environment and showcasing the authentic flavours of its destination. Chefs strive to source their produce locally from sustainable sources, including fresh seafood purchased directly from fishermen. To reduce its impact on the planet, COAST also undertakes a series of measures, including eliminating single-use plastics and reducing food waste. With Centara’s worldwide portfolio of hotels and resorts on track to double by 2022, including several new Centara Grand resorts, COAST will bring its laid-back style and creative cuisine to even more stunning seafront destinations in the years to come. Boutique Collection, Centra by Centara, Centara Residences & Suites and COSI Hotels – ranging from 5-star city hotels and luxurious island retreats to family resorts and affordable lifestyle concepts supported by innovative technology. It also operates state- of- the- art convention centres and has its own awardwinning spa brand, Cenvaree. Throughout the collection, Centara delivers and celebrates the hospitality and values Thailand is famous for including gracious service, exceptional food, pampering spas and the importance of families.Centara’ s distinctive culture and diversity of formats allow it to serve and satisfy travellers of nearly every age and lifestyle.